The name Bayerische Versorgungskammer may not sound familiar, but the institutional investor that acquired 1111 Lincoln last week for $283 million, is an active buyer of trophy properties in the United States. Across the country, Bayerische Versorgungskammer, known as BVK, owns retail and office properties worth at least $1.6 billion, in cities like New York, Chicago and Los Angeles, according to The Real Deal’s analysis of Real Capital Analytics data. Among BVK’s holdings: 85 Fifth Avenue in New York that houses Anthropologie, and the downtown L.A. former headquarters of CBRE at 400 South Hope Street. It is also one of the largest institutional investors in Germany and among the top 10 pension funds in Europe, BVK’s head of corporate communications Maike Kolbeck, wrote in an email. In South Florida, BVK owns at least one other property, the London Square mall in Miami’s Kendall neighborhood. Institutional investment adviser RREEF, on behalf of the German investor, paid $95.25 million for the traditional shopping center in early 2011, records show. It’s anchored by TJ Maxx, Ross Dress for Less and other retailers. BVK closed on the acquisition of Robert Wennett’s 1111 Lincoln, a mixed-use parking garage known for its design by Herzog & de Meuron Architects, in late June and financed the deal with a $66.85 million mortgage from HSBC. CBRE Global Investors and German investment firm Universal-Investment purchased the property on behalf of BVK. 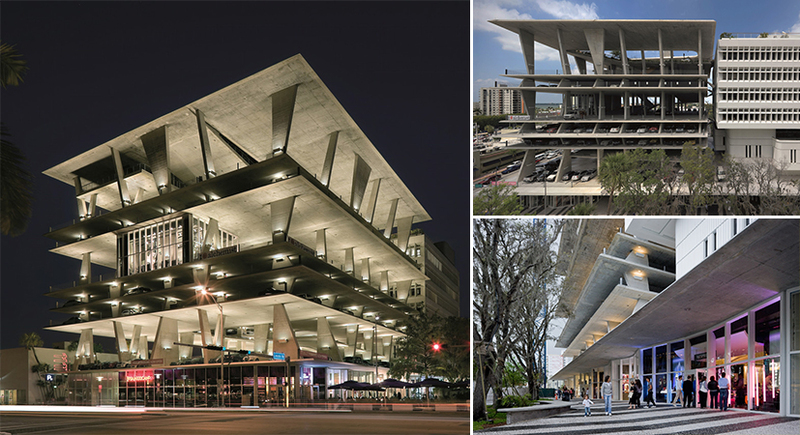 CBRE Global Investors, which declined to comment for this article, previously told TRD that CBRE saw opportunity in one of the largest buildings on Lincoln Road. The building’s design, mix of uses, and experiential retail tenants will “stand the test of time,” Stuart Sziklas, managing director of CBRE Global Investors-Americas, said. BVK has about $39 billion of assets under management, Kolbeck wrote. “There will likely be more acquisitions within our international investment strategy in the U.S.,” she said, declining to comment on its deals. In the U.S., BVK “partners” with local investment managers and funds like CBRE Global Investors. LaSalle spent more than $600 million on behalf of the German investor since 2011, and CBRE was the second biggest with nearly $515 million, according to RCA. In terms of commercial brokerages, Eastdil Secured, which represented Wennett in the sale of 1111 Lincoln, works with BVK more than any other firm in the U.S., brokering nearly $632 million in sales volume since 2011. CBRE is again close behind with about $512.5 million, data shows. Eastdil did not return calls for comment and LaSalle declined to comment. The 1111 building, which sits at the northwest entrance of the Lincoln Road mall, includes 94,488 square feet of office space, 51,839 square feet of retail space, and a 300-space parking garage/event space. Wennett recently renovated the lobby, converted some of the office space on the fourth floor to retail, and made improvements to the alley north of the parking garage. The deal included the retail space at 1664 Lenox Avenue and 1666 Lenox Avenue, both newly constructed, and excluded the residential condos. Eastdil had the listing in the fall, but the sale was an off-market deal, Sziklas said. Michael Comras, who sold the Nike and Apple-anchored block for $370 million to Zara billionaire Amancio Ortega in 2015, said the deal shows the strength of the Lincoln Road market nearly two years after his record sale, which many considered the peak of the market. Institutional investors and wealthy buyers like Ortega look for finished product as opposed to value-add opportunities, Comras added. “They don’t want to buy a product and make it something,” he said. Brick-and-mortar retail now needs to keep consumers interested and engaged, pulling them off of their phones and into stores. “I think 1111 and Robert and his ability and vision to create different uses in the property in an architectural fashion makes it a great [asset],” Comras said, adding that the property is spurring new leasing activity nearby, including at the AMC-anchored 1100 Lincoln Road. CBRE, which reports to CBRE Global Investors, was just hired to manage and lease 1111 Lincoln, the brokerage said. Todd Siegel and Danny Diaz will lead retail leasing, Diana Parker and Kevin Gonzalez will handle office leasing, and Love Levy will spearhead management. The property is fully leased. Tenants include Juvia on the rooftop, Ted Baker, Shake Shack, Taschen, Nespresso, Rosa Mexicano, MTV Latin America and Douglas Elliman according to RCA and CBRE. Jo Malone and Rosetta Bakery will be in the newly completed retail space on Lenox Avenue, Diaz said. Juvia is in the midst of expanding by about 4,000 square feet of former office space. The retail market on the pedestrian-only street has been going through a correction ever since rents peaked at the start of 2016, experts say. Market rents range from about $260 per square foot to about $300 per square foot. CBRE declined to provide rents at 1111 Lincoln. “Right now, there are some vacancies [on Lincoln Road]. Two years ago rents were increasing at a double-digit pace but now its sort of leveled off,” Diaz said. The brokerage’s plan includes to work with the property’s events manager to develop signature events, including during Art Basel and Fashion Week, as well as company parties and more, Parker said. The sale included the artwork on every floor, she said.